She was tickled by the name, and also remembered bread like this with pleasure. As did I: the black bread (Schwarzbrot, sometimes called Bauernbrot ‘peasant bread’) of my childhood. A platform for cheese, sliced smoked meat, and (especially) pickled herring (herring in sour cream was a great favorite of mine). Black breads are typically cholesterol-free and very high in fiber, but with a fair amount of salt. A simple, all-rye bread can be made using a sourdough starter and rye meal; it will not rise as high as a wheat bread, but will be more moist with a substantially longer keeping time. Such bread is often known as “black bread” (Schwarzbrot in German, chyorniy khleb in Russian) from their darker color than wheat breads (enhanced by long baking times, creating Maillard reactions in the crumb). The German Vollkornbrot (whole-grain bread) is something of an archetypical example, containing both rye meal and cracked whole rye grains (which are generally soaked overnight before incorporating into the dough). 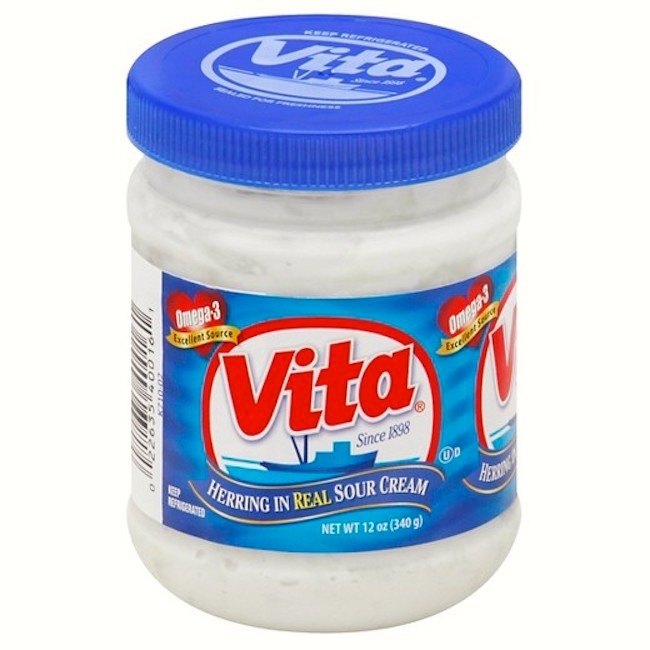 It is used both as an appetizer substrate for such things as smoked fish and caviar and as a sandwich bread. A very similar, but darker, bread, German-style pumpernickel, has an even darker color derived from toasted leftover bread and other agents. Due to the density of the bread, the yeast in the starter is used at least as much for the fermentation character in the bread itself as it is for leavening. Danish rugbrød (rye bread), another archetypical example, is typically made with sour dough, with either straight rye flour or mixed with whole and/or cracked rye kernels. Any breads containing wheat flour are not considered rugbrød, but white bread. A variety of seeds, such as pumpkin, poppy and caraway, may be added for taste. Rugbrød is a staple lunch food, typically eaten topped with cold or warm fish and meats, cheese or any other cold cut. 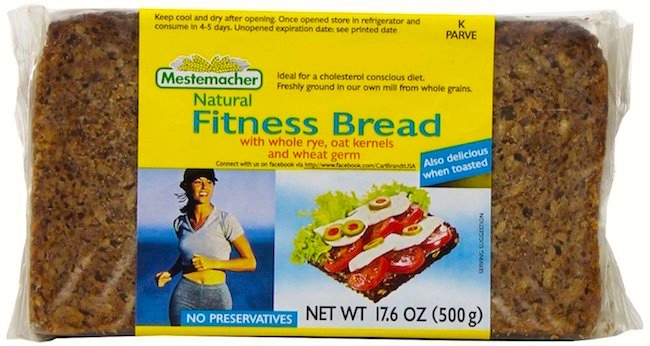 Mestemacher was originally founded as a small village bakery in 1871 and is now world market leader of organic rye bread, characterized by its long shelf-life without the use of preservatives. As the first producer of packaged whole meal breads of controlled organic agriculture, we have been promoting the growth and existence of organically cultivating agriculturists for more than 30 years. Since the first production in our Gütersloh manufacturing facility with our own large mill, we have developed delicate flavours each year. Safeguarding the natura environment is vital and Mestemacher takes great pride in actively promoting the ecology and protecting nature. For export, they have separate product lines for the US, Croatia, Canada, Switzerland, Czech Republic, Bosnia, UK, Italy, Spain, Poland, and Japan. Black bread around the world! There are 18 products in the US line, including the two above (all, I think, kosher). If you don’t know your way around NYC, you might well know about Russ & Daughters from the food writings of Calvin Trillin. 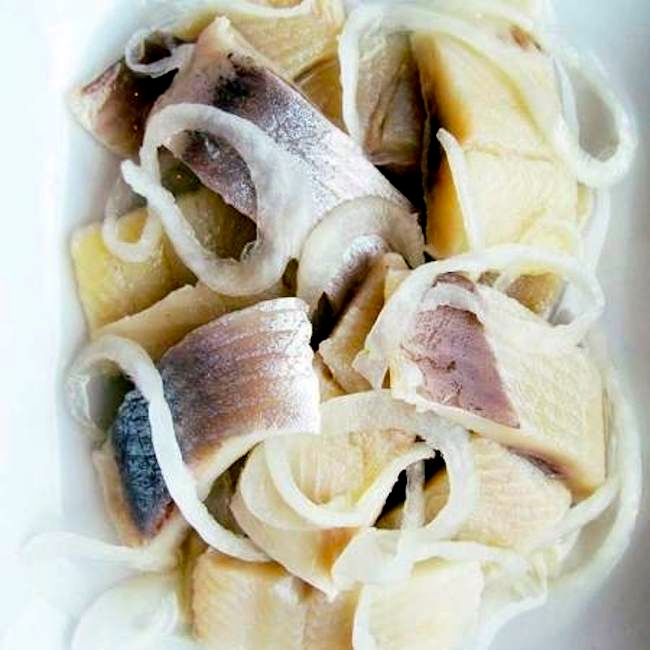 Pickled herring is a delicacy in Europe, and has become a part of Baltic (Estonian: Marineeritud heeringas, Latvian: marinēta siļķe, Lithuanian: marinuota silkė), Nordic (inlagd sill), Dutch (zure haring), German (Bismarckhering), Czech (zavináč), Polish (śledzie w occie), Eastern Slavic, Scottish and Ashkenazi Jewish cuisine. Most cured herring uses a two-step curing process. Initially, herring is cured with salt to extract water. The second stage involves removing the salt and adding flavorings, typically a vinegar, salt, sugar solution to which ingredients such as peppercorn, bay leaves and raw onions are added. In recent years, other flavors have also been added, due to foreign influences. However, the tradition is strong in Denmark, Sweden, Finland, Norway, The Netherlands, Iceland and Germany. Onion, sherry, mustard and dill are some of the traditional flavourings. … Pickled herrings have been a staple in Northern Europe since Medieval times, being a way to store and transport fish, especially necessary in meatless periods like Lent. The herrings would be prepared, then packed in barrels for storage or transportation. Kim then got me some herring pickled in dill sauce, from Whole Foods, and I had a nice nostalgic peasant lunch. With more to come. Herring often move in large schools around fishing banks and near the coast. The most abundant and commercially important species belong to the genus Clupea, found particularly in shallow, temperate waters of the North Pacific and the North Atlantic Oceans, including the Baltic Sea, as well as off the west coast of South America. Three species of Clupea are recognised, and provide about 90% of all herrings captured in fisheries. 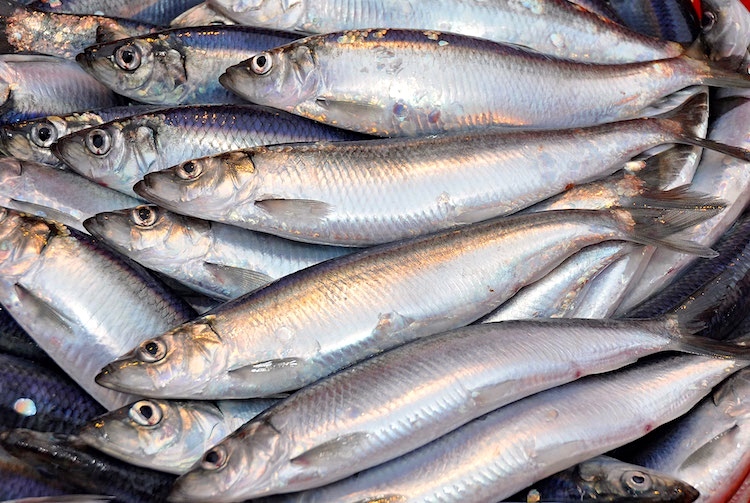 Most abundant of all is the Atlantic herring, providing over half of all herring capture. In Japan, a traditional breakfast includes grilled or smoked fish (along with steamed rice, miso soup, and various side dishes), and herring is one of the fish used for this purpose. This entry was posted on September 26, 2017 at 5:25 pm and is filed under Language and animals, Language and food, My life. You can follow any responses to this entry through the RSS 2.0 feed. You can leave a response, or trackback from your own site.